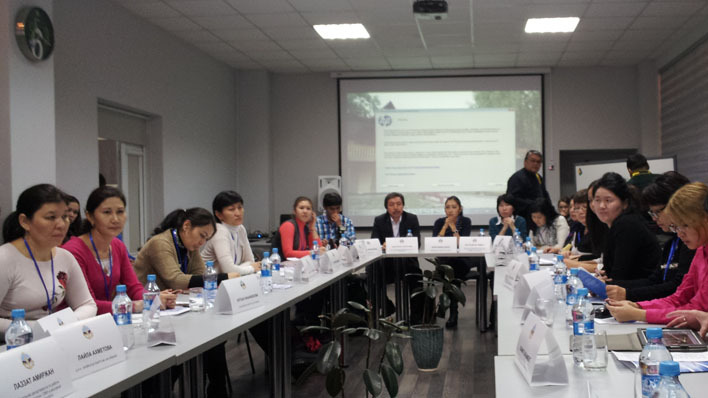 The three day Winter School of Journalism "Communication for all" opened in Almaty on 30 January 2014. This event was organized by the "Media Sphere" Scientific Humanitarian Research Center and supported by UNESCO Almaty Cluster Office, the United Nations Department of Public Information / United Nations Information Office (UN DPI), the al-Farabi KazNU, Columbia and Turan Universities. 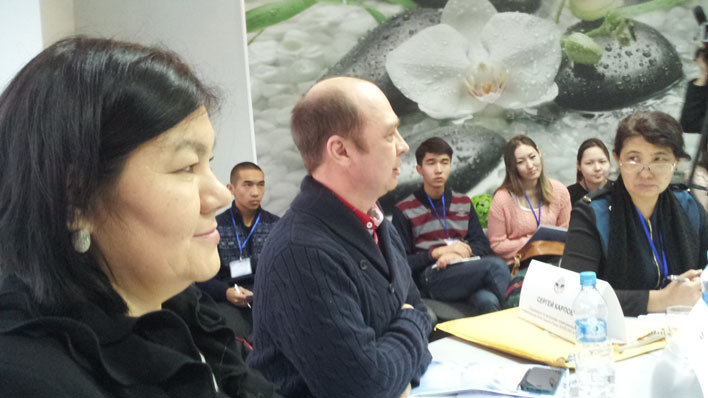 60 students, information and communication professionals as well as journalists from Astana, Almaty, Shymkent, Karaganda and Kyzylorda learned the art of sharing information and knowledge by using modern Information and Communication Technologies (ICT). This Winter School helped me, as a woman and a future journalist, to enjoy this professional environment. Our trainers have created a wonderful atmosphere of real and constructive dialogue. Participants learned the basics of communications and Media Development Indicators. Mr. Sergey Karpov from UNESCO Almaty Cluster Office presented the "Open Access" principles that are recommended to be implemented through the educational and training institutions. With the Open Access journalism institutions have a unique opportunity to translate, adapt, and re-distribute wide range of materials, using original sources. As an example, the UNESCO guideline The global investigative journalism casebook edited by Mark Lee Hunter, has been presented as the part of the UNESCO's series on journalism education. Ms. Akim Arailym 3rd year student of the Journalism Faculty, KazNU said: "this Winter School helped me, as a woman and a future journalist, to enjoy this professional environment. Our trainers have created a wonderful atmosphere of real and constructive dialogue". UN DPI Representative Mr. Vlastimil Samek in his speech emphasized the role and importance of communications relevant to the UN supported themes, especially for youth development at country, regional and global levels. UN DPI and UNESCO support the principles of cooperation and Open Access through the mobile ICTs. Recently UN DPI and UNESCO Almaty jointly developed a mobile application "UN News" in all six official languages of the UN. Its official presentation is planned for 2 March, 2014, the day of the twenty-second anniversary of the accession of Kazakhstan to the United Nations.